The advancement of technology, online banking services, compliance and regulatory expectations plus the growing demand from customers to have 24/7 access to their financial lives have changed the business of banking. With more than 500 banks and credit unions in the state of Illinois today, it’s easy to see how these changes have shifted the objectives of running a bank or credit union away from simply needing to manage money and provide loans to also managing data, IT networks, compliance requirements and security. Since technology has quickly become the lifeblood of today’s bank and credit union, it is important for these institutions to establish a mature technology program to ensure operations run smoothly. The three main components making up a mature technology management program include the technology itself, security and compliance. Illinois banks and credit unions depend on their IT network infrastructure and technology solutions for nearly all functions including managing data, network monitoring, online banking services, ATM services, teller functions, email, regulatory and compliance issues and security monitoring. Managing all of these moving parts can be challenging, but it’s crucial that all solutions work together efficiently, especially for smaller banks and credit unions in rural parts of Illinois that may need additional support. For this to happen, banks and credit unions must continue to update their hardware and software and invest in new resources or services to enhance the institution and better serve their customers or members. To ensure all these critical systems are constantly functioning, it is important to continuously monitor hardware and software for failures, virus detection, and alerts for required maintenance. Having a centralized solution in place that automatically monitors, alerts, tickets, and provides support and reporting for servers, workstations, network routers, switches, software and other devices is an integral and critical function in today’s Illinois bank and credit union. Patch management is also a critical component of any IT management plan. It starts with identifying the right patches, implementing a patch schedule, deploying patches, and ensuring all patches are effective and working correctly. Ensuring patches are up to date, as well as having a documented report of the patches that have been put in place, is crucial for security and compliance. Establishing a strong security posture is important for Illinois banks and credit unions, especially with the increasing frequency of cyberattacks in the financial industry. To be adequately protected in today’s environment, banks and credit unions must ensure every device on the network has up-to-date antivirus software and adequate firewall protections, as well as layers of security that protect all vulnerability points. Multiple controls and security layers ensure that gaps or weaknesses in one control, or layer of controls, are compensated for by others. In addition, Illinois banks and credit unions should utilize threat-specific preventive controls and procedures to monitor for suspicious activity or unauthorized access on a network. Combatting ransomware is also a top issue. Thwarting events before they occur or inflict damage to a bank or credit union is important to eliminate costly damages and reputational issues. Community banks and credit unions must also stay on top of the wide variety of threats in the industry. Reading articles and blogs, attending association meetings, and participating in organizations like the Financial Services Information Sharing and Analysis Center (FS-ISAC) are great tools to help banking professionals keep up with the evolving security landscape. Attending conferences, like Cybersecurity Chicago, can also offer a wide-range of insight on security trends and strategies to help Illinois banks and credit unions better protect their organizations. Compliance is one of the greatest challenges and concerns for financial institutions today. The Illinois Department of Financial & Professional Regulation (IDFPR)’s Division of Banking oversees regulations for the state and is committed to the protection of Illinois residents and their financial security. 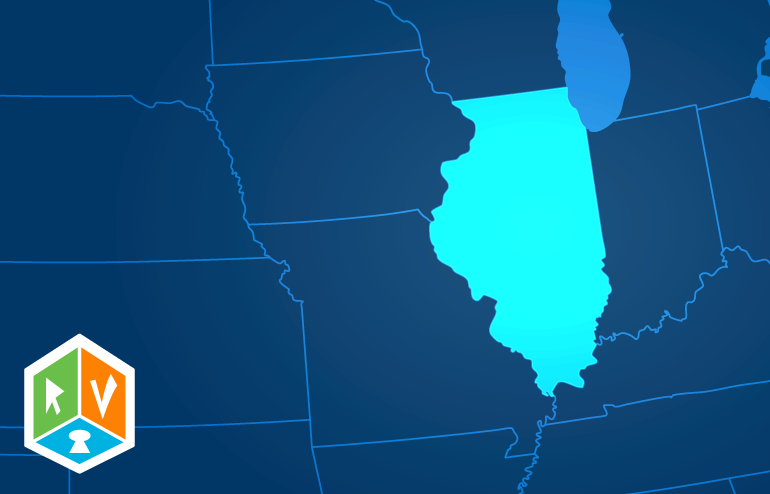 While Illinois banks and credit unions are growing accustomed to the strenuous regulatory reviews they must go through each year, they continue to struggle with managing an evolving set of state and government regulations. It’s also no secret that governing agencies have become more stringent in their exams in the last several years and have been liberal in issuing citations to banks and credit unions that have lapses or are not meeting regulations. Business Continuity Plan (BCP) — The BCP is the crucial blueprint for guiding a bank or credit union through recovery from a business outage and is instrumental in ensuring that people, process, and technology elements are all properly coordinated and restored. Disaster Recovery (DR) Plan — DR plans are designed to outline the specific steps that need to be done immediately after a disaster to begin to recover from the event. It serves as a plan for accessing required technology and infrastructure after a business outage and steps to take to enable the bank or credit union to operate normally. Cybersecurity — The increased occurrence of cybersecurity attacks has led regulators to require cybersecurity protection in all existing policies. 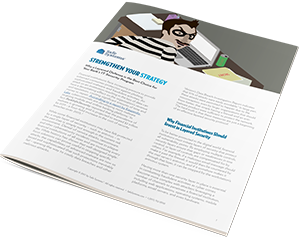 Procedures must be in place to secure customer or member confidential data and recover business processes regardless of the threat. Vendor Management Program — Illinois banks and credit unions rely heavily on third-party service providers to offer specialized expertise and services to ensure the institution is successful. 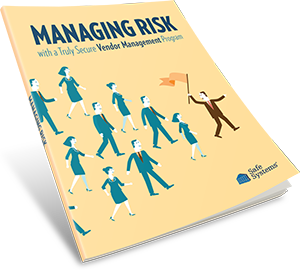 Banks and credit unions are responsible for understanding and managing the risks associated with outsourcing an activity to a service provider. It is important for all Illinois banks and credit unions to strengthen their vendor management programs to safeguard the confidentiality and availability of the data and also minimize the impact if a data breach occurs. Documentation — The FFIEC require documentation before, during and even after an exam. Gathering all these documents can be an extremely time consuming and stressful process. To manage this process efficiently, community banks and credit unions must understand what examiners are looking for and be able to streamline processes to ensure the proper documentation is prepared for the exam. With today’s mounting pressures, many Illinois banks and credit unions are increasingly turning to technology service providers to help manage their IT infrastructure and overall technology and security programs. Such partners bring knowledge, additional resources and expertise to help banks and credit unions control and manage their complex IT environments and operate in today’s financial services arena with a greater degree of confidence. At Safe Systems, we understand the challenges that come with managing IT networks, security programs and compliance issues while also ensuring the network is safe and secure. By making the decision to partner with Safe Systems, your organization will benefit from time-saving automation, an in-depth view of your IT network environment, and additional support in co-managing your IT security and compliance operations. We want to provide you with assurance that the institution’s IT network is functioning efficiently, optimally, securely, and is in compliance with industry regulations at all times. For more Illinois-specific resources please visit The Illinois Department of Financial and Professional Regulation, Community Bankers Association of Illinois, Illinois Bankers Association, and Illinois Credit Union League. These organizations serve as resources helping banks and credit unions stay well-informed about the marketplace, regulations and compliance issues affecting Illinois institutions.